Leaky Gut can be so confusing, but it’s becoming more and more of an epidemic. Many of the causes and cures of Leaky Gut are widely debated, but Doctors are becoming more aware of the condition and ways to treat it. This article is meant to shine some light on how to treat Leaky Gut Syndrome and why the SCD Diet is such a critical component to it. 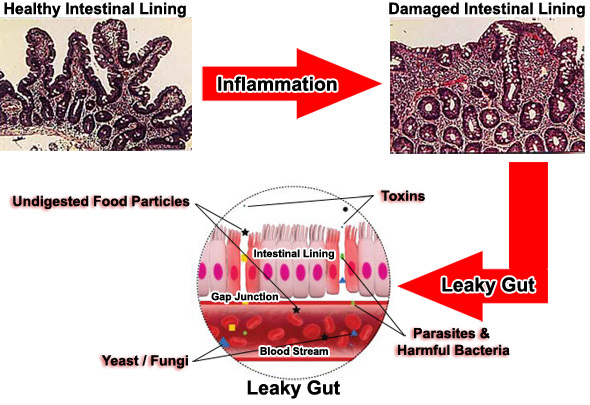 Leaky Gut Explained The term Leaky Gut Syndrome is used to describe the condition of “Hyperpermeable Intestines,” a fancy medical term that means the intestinal lining has became more porous, with more holes developing that are larger in size and the screening out process is no longer functioning properly. The fallout results in larger, undigested food molecules and other “bad stuff” (yeast, toxins, and all other forms of waste) that your body normally doesn’t allow through, to flow freely into your bloodstream. Now, your body will begin to produce antibody soldiers designed to fight against these foreign objects (which can be things such as the Casein protein from the milk you’re drinking, or other proteins in nuts, grains, or eggs). Even chemicals normally found in foods such as Phenols and Glycerin can now trigger immune responses when they enter the body. For instance, I immediately react to diary of any kind. I get instant brain fog, a headache, sore throat, and horrible sinus drainage. A similar reaction happens when I eat foods high in phenols such as tomato juice. I am confident that it is all part of a reaction as a result of years with leaky gut from my Celiac Disease. If you’re having sensitivities to more than a dozen foods, you likely have leaky gut. Any undigested foods that are absorbed into the blood stream are now considered enemies of the state, and your immune system will develop reactions to many of them, leading to food intolerances. When you have a Leaky Gut condition, the damaged microvilli along the intestinal lining cannot manufacture the digestive enzymes they need to break down the food for proper digestion. The resulting condition allows food molecules to flow into the bloodstream that have not been completely broken down into the nutrients your body needs. Bottom Line: The foods that you’re eating are not the root of the problem; it’s the leaky gut letting the food molecules into your bloodstream. Of course, the caveat is severe food allergies such as gluten to a Celiac or deadly peanut allergies. How Do I Know If I Have Leaky Gut Syndrome? 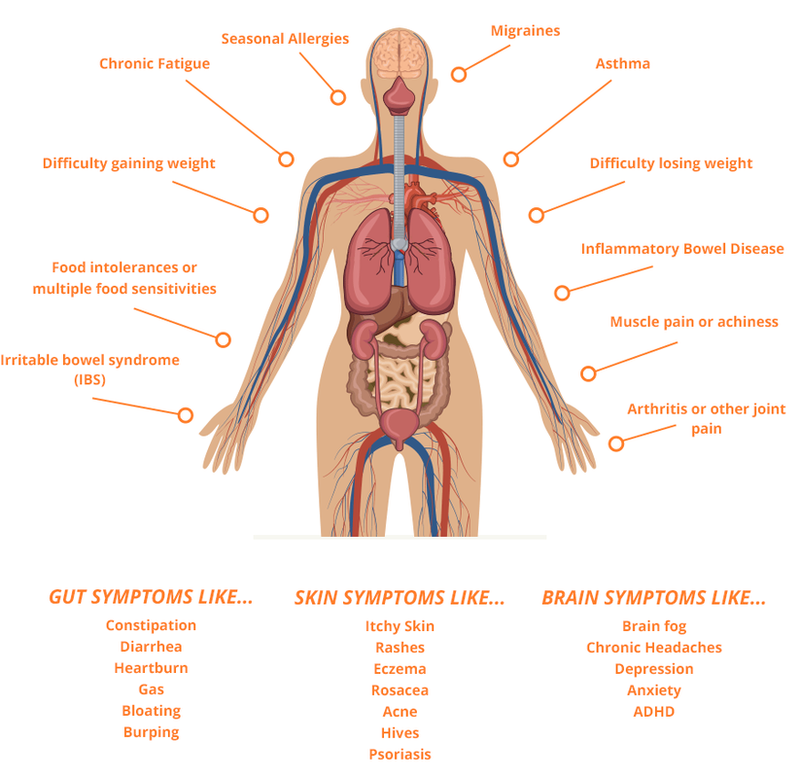 Symptoms of Leaky Gut can vary from person to person depending on the level of damage and the tissues being affected. Multiple Food Sensitivities can be a sign that your immune system is developing antibodies to everything you’re eating. Nutritional deficiencies are a sign of lacking vitamins and minerals from the improper breakdown of food in your intestines. Chronic diarrhea and constipation are signs of inflammation of the intestinal walls from Leaky Gut. Skin rashes are your body’s way of trying to dump the toxins through the skin perforations. A poor immune system will result from your body trying to wage war on itself and ignoring all the virus and bacteria we encounter on a daily basis, allowing you to get sick more often. Headaches, brain fog, memory loss, and excessive fatigue are a result of the inflammation of tissue and toxin build up. Yeast overgrowth (Candida) will cause cravings for sugar and carbs, gas, bloating, and anxiety. All of these things add up to a host of symptoms with a myriad of explanations… all leading back to one thing: the constant river of foreign objects being allowed to enter your bloodstream. We’ve put together a 3-min leaky gut quiz, which will examine the most important risk factors in your body and provide a custom analysis of your likelihood of having a leaky gut. – Diet: Consuming high amounts of refined sugars, processed foods, preservatives, refined flours, and flavorings introduces massive amounts of chemicals into the body that is seen as toxic. If your body has a hard time keeping up the toxins start to build up and cause inflammation (like we talked about earlier). - Diet Restrictions: Eliminating sugars, starches, grains, and any other irritating foods alleviates the inflammation and starves out the yeast overgrowth (this is where the SCD diet takes over the healing process). Reducing both of these allows the intestinal tract to slowly return to its normal permeability, stopping the flow of foreign objects into the blood, which will stop food intolerance symptoms and eventually help stop the vicious cycle just as the book described it. I would argue that the Specific Carbohydrate Diet is the foundation of curing leaky gut, but it does need some help from the next three pieces. - Nutritional Supplementing: The conditions that lead to leaky gut can also cause mal-absorption and improper digestion, both of which are going to leave you with nutritional deficiencies. First and foremost: supplementing with a good multi-vitamin, large amounts of vitamin D, and Zinc will help the intestinal lining return to normal (assuming the irritants from the diet are removed by following the SCD diet). Essential fish oils have also been shown to really help improve the condition of the intestinal mucosal lining (omega-3’s greatly reduce inflammation among a host of other benefits). - Probiotics: Now that the Candida is being knocked down by your adherence to the SCD diet, mixing in a solid foundation of probiotics, and more specifically, the friendly bacteria Lactobacillus Acidophilus is a must. The diet gets rid of the bad bacteria and you need a constant feed of the good bacteria to replace it. Friendly bacteria stop the inhabitance of bad bacteria and yeast, heal the gut lining, help nutrients get absorbed, and keep the vicious cycle in check. Studies suggest that keeping a ratio of 85% good to bad bacteria in the gut will stop the cycle from starting back up. A good non-dairy SCD legal lactobacillus acidophilus will be very beneficial. - Digestive Enzymes: Digestive enzymes are critical to properly breaking down the foods we eat. 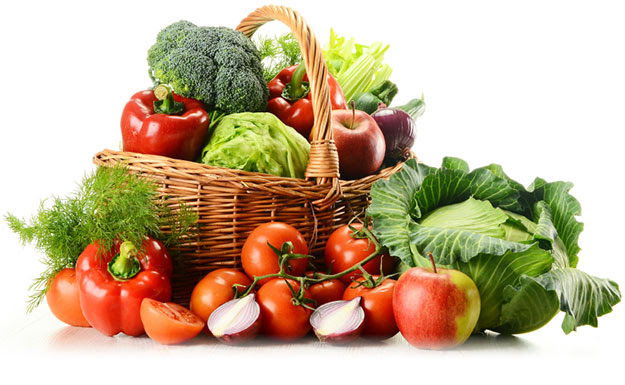 They are found naturally in the raw form of foods to help break them down, unfortunately, in the beginning stages of the SCD diet we have to cook all of our fruits and veggies, rendering them useless for enzymes. The have multi-faceted skills to help alleviate leaky gut. First, plant based enzymes will break down food into very small particles before it leaves the stomach, preventing large undigested molecules from irritating the intestinal lining and increasing nutritional uptake. They also work through your intestines acting as garbage collectors by removing toxins, bacteria, and damaged cells of the mucosal lining. 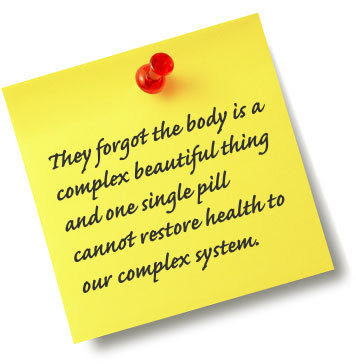 The whole process gives the gut a clean slate of healthy cells to rebuild with. 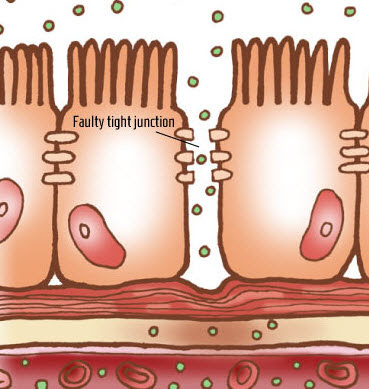 While the leaky gut permeability remains, they do the same garbage collecting in the bloodstream if they are passed through the intestinal lining. The bromelain and papain enzymes are shown to reduce inflammation in the gut lining and throughout other tissues in the body, allowing the immune system and the liver some reprieve. Any SCD legal, plant based enzyme will make a world of difference here. P.S. – If you’d like to find out it you have leaky gut, we’ve put together an in-depth risk analysis for you. Click the the Website and go to the big orange box below to take the leaky gut quiz right now.,. Leaky gut syndrome is not generally recognized by conventional physicians, but evidence is accumulating that it is a real condition that affects the lining of the intestines. The theory is that leaky gut syndrome (also called increased intestinal permeability), is the result of damage to the intestinal lining, making it less able to protect the internal environment as well as to filter needed nutrients and other biological substances. As a consequence, some bacteria and their toxins, incompletely digested proteins and fats, and waste not normally absorbed may "leak" out of the intestines into the blood stream. This triggers an autoimmune reaction, which can lead to gastrointestinal problems such as abdominal bloating, excessive gas and cramps, fatigue, food sensitivities, joint pain, skin rashes, and autoimmunity. The cause of this syndrome may be chronic inflammation, food sensitivity, damage from taking large amounts of nonsteroidal anti-inflammatory drugs (NSAIDS), cytotoxic drugs and radiation or certain antibiotics, excessive alcohol consumption, or compromised immunity. Leaky gut syndrome may trigger or worsen such disorders as Crohn's disease, celiac disease, rheumatoid arthritis, and asthma. My colleague, pediatrician Sandy Newmark, M.D., who deals with leaky gut syndrome in children, tells me that it isn't clear how many people have this disorder or exactly what problems can be attributed to it. Dr. Newmark says that it has been established that a significant percentage of children with autism have increased intestinal permeability, but it isn't known whether this is a cause or an effect of food sensitivities and an underlying metabolic problem. 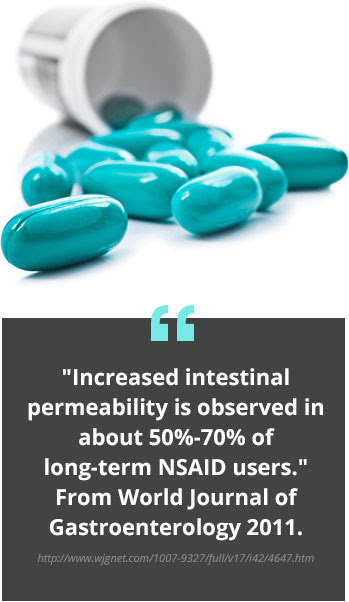 Some alternative medicine practitioners blame such unrelated problems as migraines, bad breath and insomnia on leaky gut syndrome and recommend buying home test kits purportedly capable of measuring intestinal permeability. I doubt it. For treatment, some of these practitioners recommend an assortment of dietary supplements. I would be wary of any diagnosis of leaky gut syndrome if you don't have inflammatory bowel conditions (Crohn's disease, celiac disease, irritable bowel syndrome), rheumatoid arthritis, or asthma. 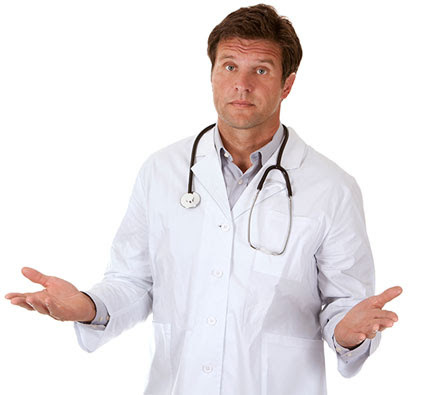 The leaky gut treatment I recommend involves avoiding alcohol and NSAIDS as well as any foods that you're allergic to. Make sure you're eating plenty of fiber. Take Culturelle or another probiotic supplement containing Lactobacillus GG. I would also recommend eatingan anti-inflammatory diet, including essential fatty acids like fish oil and GLA. In addition, you might try supplementing with glutamine, an amino acid that helps maintain intestinal metabolism and function and seems to benefit patients who have had intestinal injury from chemotherapy and radiation. If you or a loved one are struggling with chronic illness, this might be the most important thing you’ll ever read. Every Single Day What it does to you is this: it allows TOXIC food particles, environmental chemicals, and bacterial waste to leak through your digestive tract and into your body – once inside, these foreign particles travel to different areas of your body and trigger an immune response, promoting inflammation and jumpstarting the development of chronic disease. But why is this happening? Some say it’s the Standard American Diet. All the sugar and processed junk food. Or the new ‘Dwarf Wheat.’ Or all the medications and antibiotics we take. But What if ALL These Theories About Why We’re Sick Are Right? 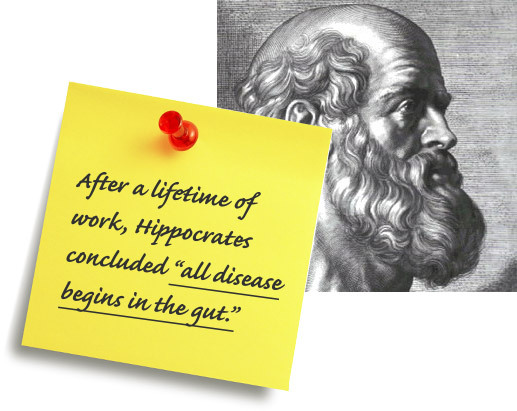 "All Disease Begins in the Gut" Over 2000 years ago Hippocrates became the first person to believe that disease was caused naturally. It’s not your fault, but you may suffer from headaches, skin problems, joint pain, or IBS – and get treatment – but it may be the WRONG treatment focused on the WRONG part of the body. It’s not your fault, but nobody has explained why a so-called “balanced” diet may be causing your gut to leak. Or why it may be as true for you, as it has with many, that changing your diet alone isn’t enough to get at the root cause of chronic illness. 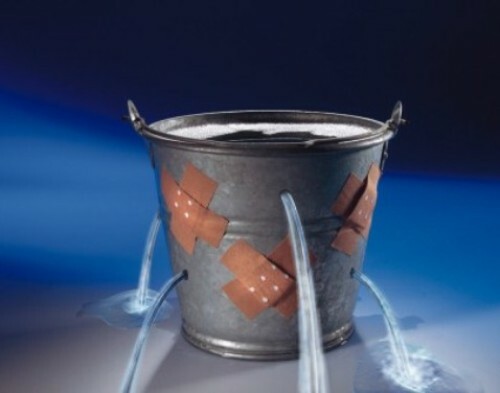 It’s not your fault, but nobody has given you information about leaky gut and how it’s connected to the rest of your body, and that you probably didn’t even know leaky gut was a problem for you. Are You Part of the ‘Common Suffering’ That’s Robbing Joy and Fun From Life? Have you felt any of these people’s sadness? BUT, the snow flake mentality can trap us. It pits us against each other. While we are busy pointing out our unique problems and differences we forget we are still 99.9% the same. Leaky Gut is tricky problem, the pain it causes depends on WHERE the bad stuff leaking into your body decides to wreak havoc in your body. The confusing part is everyone can be different. Which One of These Problems / Is Making Your Life Miserable? Look What Happened To Us When We Focused On Healing the Gut! Jordan Reasoner overcame Celiac DiseaseI went on a 3 day, 18 mile Elk Hunt alone in the Montana backcountry last fall. Four years ago I never imagined I’d do something like that, let alone watch my 2 kids grow up. Kevin Is happy that his wife is no longer complaining about how bad he smells. But the best part is he no longer burps or has afternoon energy crashes. He’s not afraid to take his shirt off in public and finally has the energy to keep up with the kids. BrendaIt's so much easier to date when she can look in the mirror and can't help but dance. Now that Brenda's hormones are rocking she's back and happily dating. UTI's are a thing of the past and she's very confident she could get pregnant right away. Katie Lost 15 pounds, stopped losing her hair and now has all day energy. She did have to make several changes that at first, were very different than how she lived. She started by eating the Solving Leaky Gut Rebuild diet which is based on the most nutritious and anti-inflammatory meats, fruits, vegetables, herbs and spices. She found out that she had low stomach acid and needed to supplement to correct it and that her adrenal glands were in need of some serious support.